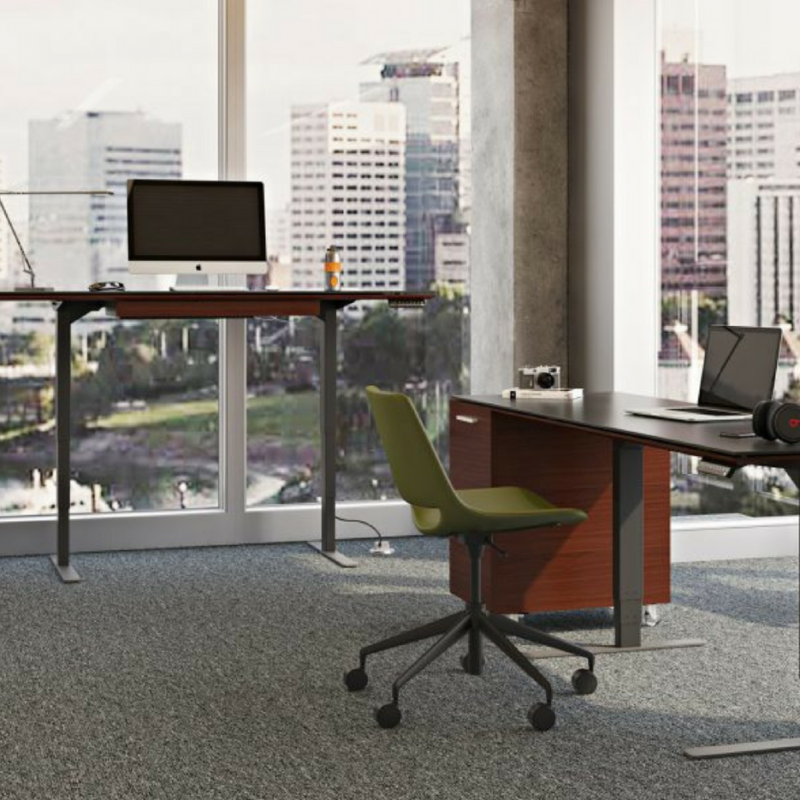 It’s not surprising that sit to stand workstations are becoming a sought-after solution for employees who sit for long periods of time and are concerned about their health. Employers are looking to the sit to stand work trend to help employees to be more active day-to-day, and in turn to improve wellness across their organization. To make standing even more comfortable there are a variety of anti-fatigue mats that offer the cushion to help mitigate issues related to tired and achy feet. In addition to anti-fatigue mats, there are other important considerations such as installing the correct office carpet. Open-cell cushion backing has proven to improve comfort while standing and can reduce muscle fatigue by up to 24%. Its cushion has proven to provide a huge difference to the physical comfort and wellbeing of workers while standing, but without the added disruption (and cost) of standing mats.